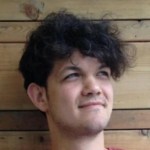 Daniel Gray is the Head of Studio Ustwogames. They created Land’s End and Monument Valley, that won the 11th IMGA Grand Prix in March 2015. Ustwogames’ mission is to build and launch mobile games: They create and bring their successful products to market. They partner to launch new ventures that disrupt industries. Their experience gives them the edge in building and launching digital products for others.